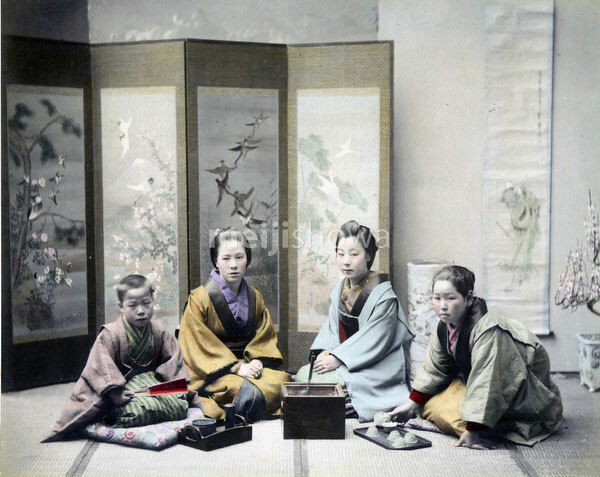 A family having tea in a studio setting. On the floor is a hakohibachi, a brazier encased in a wooden box, and a tray with a teapot and cups. Behind them is a beautiful screen.